DISCLOSURE: This post is sponsored by Bruegger's Bagels. When I was growing up, I used to make fun of my mom for cooking so much food. Even though there were eight kids in my family, it still looked like she was cooking for an army! Now that I have four kids of my own, I completely get it. Dylan, Lexie, Lily and Liam are always hungry, and they eat a LOT. If you think I’m exaggerating, let me tell you about the nine (NINE!!!) tacos that my skinny 10 year old ate for dinner this week. Now that Summer is here, and they are all home all day, they are eating food faster than I can replenish it! We were about two weeks into Summer Break, when I learned my lesson. I started to double my dinner recipes, so we had leftovers for lunch the next day! We now have plenty of food for dinner, and enough left over so we can all heat it up for lunch the next day. In the span of two weeks, I officially became my mother! 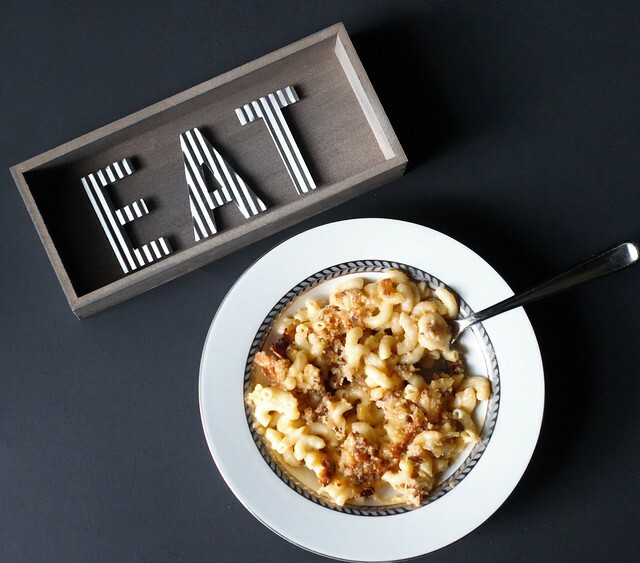 One of our favorite things to eat is macaroni and cheese. 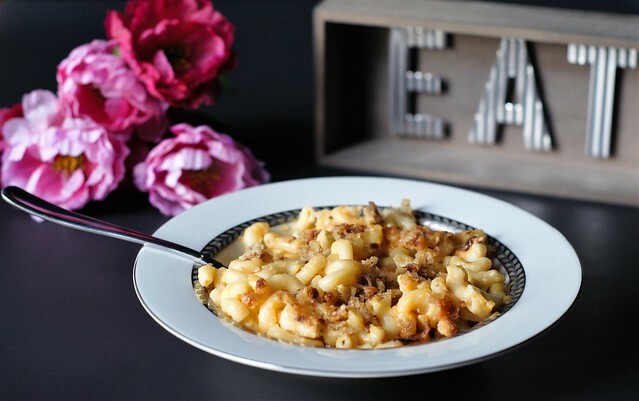 As everybody knows, this comfort food is best when it’s homemade! I did a lot of experimenting over the years, and came up with a recipe that we all love. 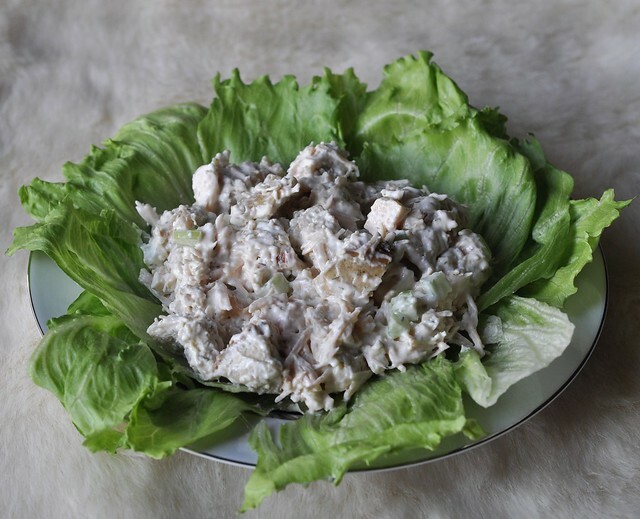 It can be made in the slow cooker or baked in the oven, and it’s very simple to prepare. 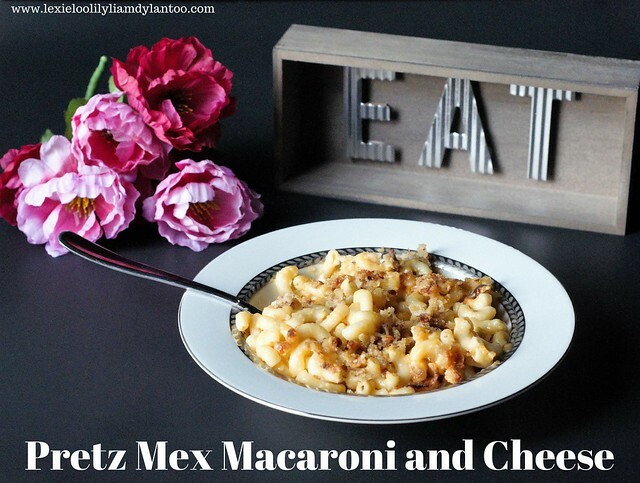 Our favorite recipe includes a blend of Cheddar, American, Swiss, Mozzarella and Velveeta cheeses, and it’s topped with breadcrumbs and Parmesan cheese. It’s a recipe that everybody in my family loves, so leftovers always go quickly! 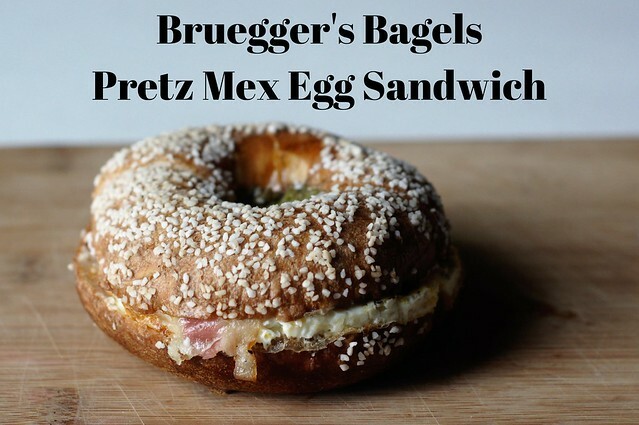 After hearing about Bruegger’s Bagels Pretz Mex egg sandwich, which is one of their limited time offerings for Summer, I was inspired to spice things up a bit! The Pretz Mex features egg, bacon, Swiss cheese and guacamole on a pretzel bagel. I brought a few home, and the sandwich was as delicious as it sounds! I decided to swap my traditional breadcrumb topping for a spicier version, using pretzel bagels from Bruegger’s Bagels and guacamole. The end result was delicious! Sometimes it’s good to change things up a bit! Lightly grease a 9x13 baking dish. Melt 3 Tbsp butter and pour into a large bowl. 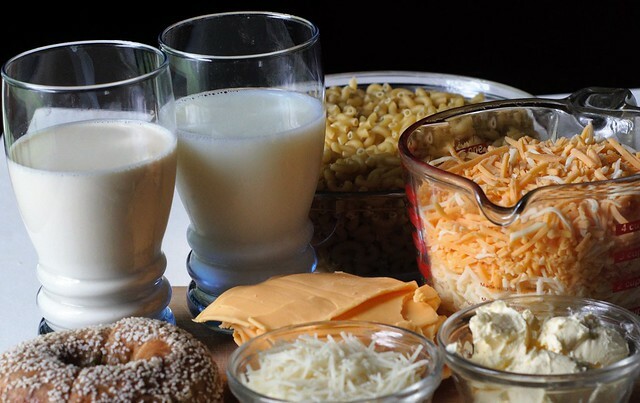 Mix in the evaporated milk, 2% milk, Mac & Cheese blend, and Mozzarella cheese. Slice the Velveeta cheese into thin slices. Pour half of the elbow macaroni into the baking dish. 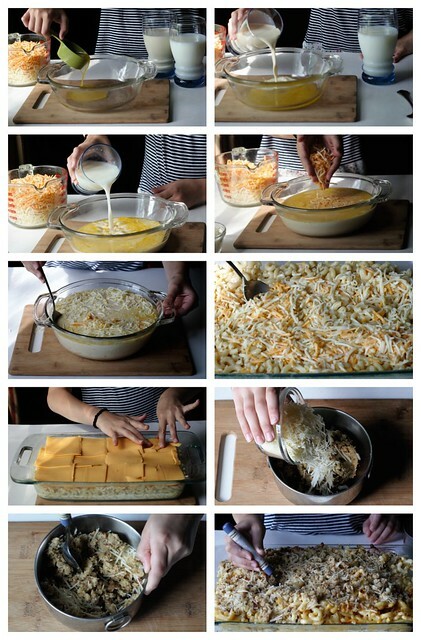 Pour half of the cheese mixture on top of the macaroni and stir. Top with one layer of Velveeta cheese slices. 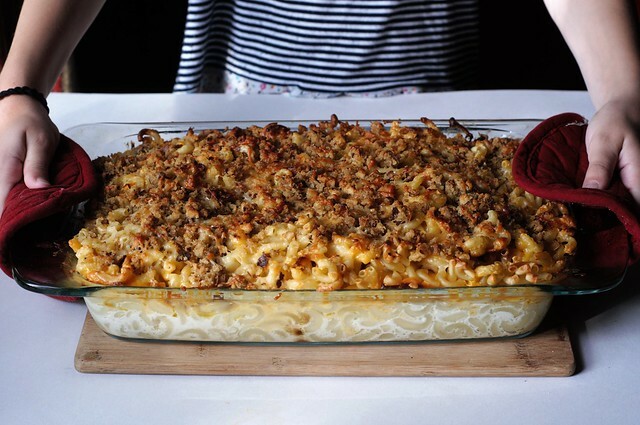 While the macaroni and cheese is baking, prepare the breadcrumb topping. Place the pretzel bagels in a food processor (or a blender) and mix until it is chopped finely. Pour the pretzel bagel bread crumbs into a bowl, add in the Parmesan cheese, the guacamole and 3 Tbsp melted butter, and mix together. Remove the macaroni and cheese from the oven and stir to blend. Spread the bread crumb mixture on top of the macaroni and cheese and cook for an additional 10 minutes (or until the Parmesan cheese melts on top). Adding the Pretz Mex pretzel bagels and spicy guacamole to this recipe gives it a slightly zesty taste. 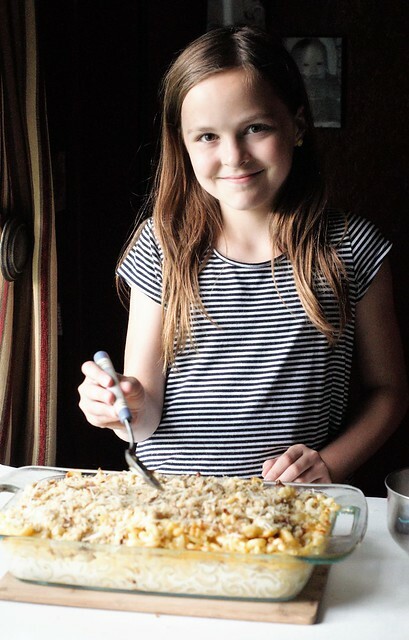 It was a fun alternative to our traditional macaroni and cheese recipe! My four little bottomless pits gave it eight thumbs up! Check out Bruegger’s Bagels other Summer specials! 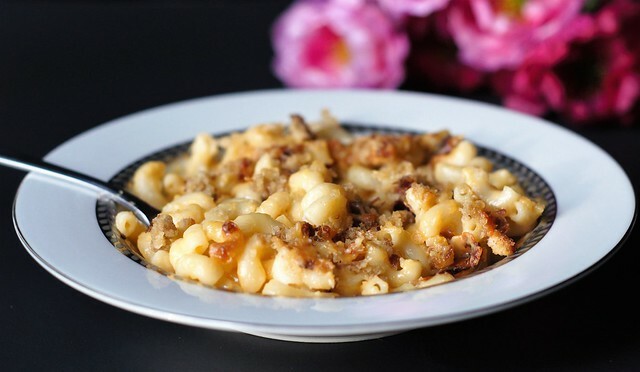 I often think I could just do mac and cheese for dinner, but never do. With this recipe I could totally pull it off! So fun, this looks really great. We make something similar to this but include chicken in the dish. It's so good and full of cheesy tastiness. Connor loves it and doesn't even know there's chicken in it! Girl, I could eat mac and cheese for dinner every single night. This looks delicious! Wow this looks amazing!!! This preggo mama wants all of it! This looks so yummy! And right up my alley because it doesn't seem complicated! My taste buds are exploding now! This looks so good! I could eat Mac and cheese every day and never tire of it.